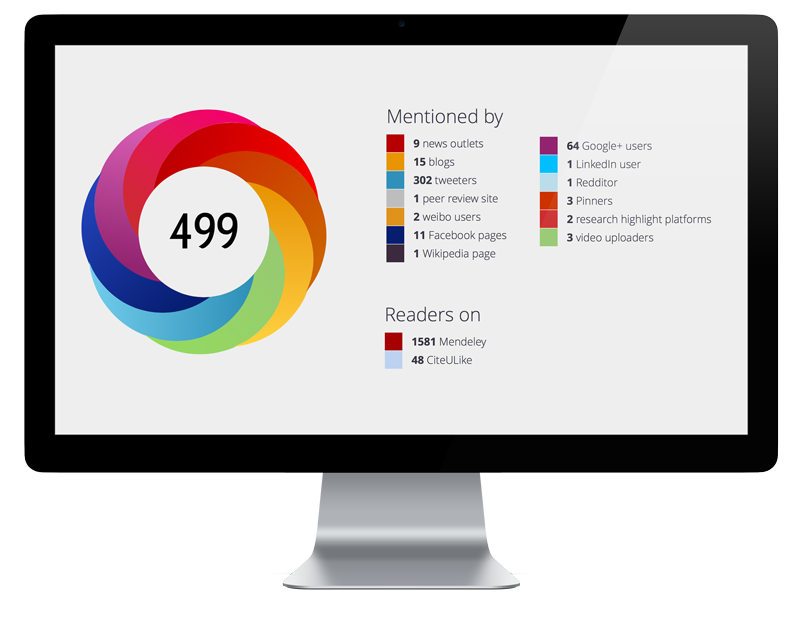 The Altmetric bookmarklet enables you to instantly see Altmetric data for any published research output with a DOI. It’s quick, free and easy to install in just 3 simple steps. We offer free embeddable badges for repositories within academic institutions. They can be installed with just a few lines of code, and you can choose the style of badge you’d like to display. Users will be able to click on the badge to view the full details page for each research output. 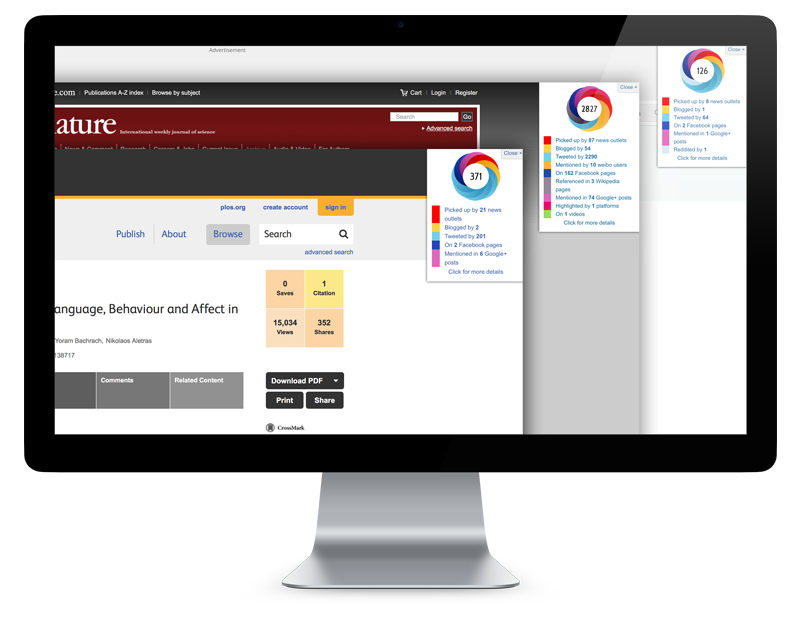 We offer free individual access to a basic version of the Altmetric Explorer for academic librarians based within universities. 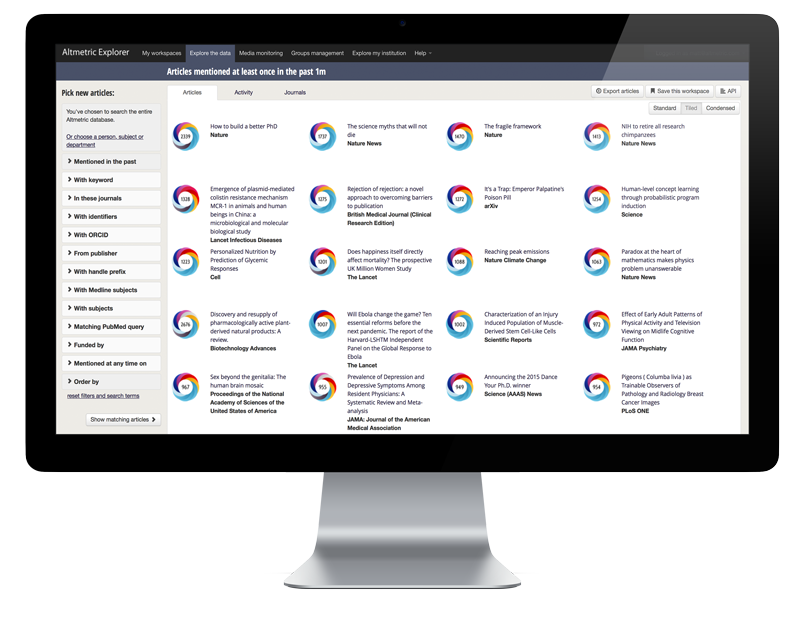 This version of the Explorer can be used to browse and filter all of the research outputs in the Altmetric database, but does not include any institutional views, functionality or reporting. Please email us to request an account. Individual researchers can embed our badges for free too! 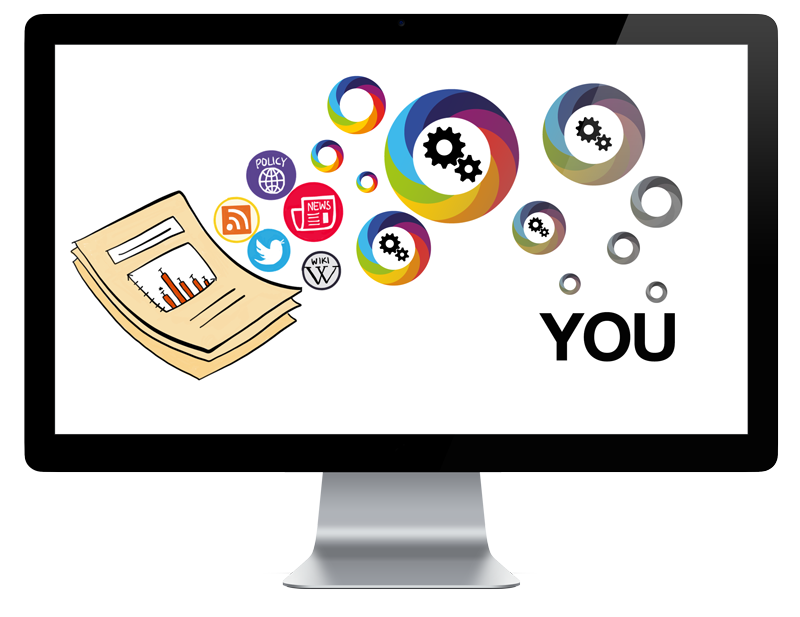 It’s a great way to add context to your personal website or online CV, and can help demonstrate the reach of your work to visitors. Once embedded you can click on the badge to view the full details page for each research output. 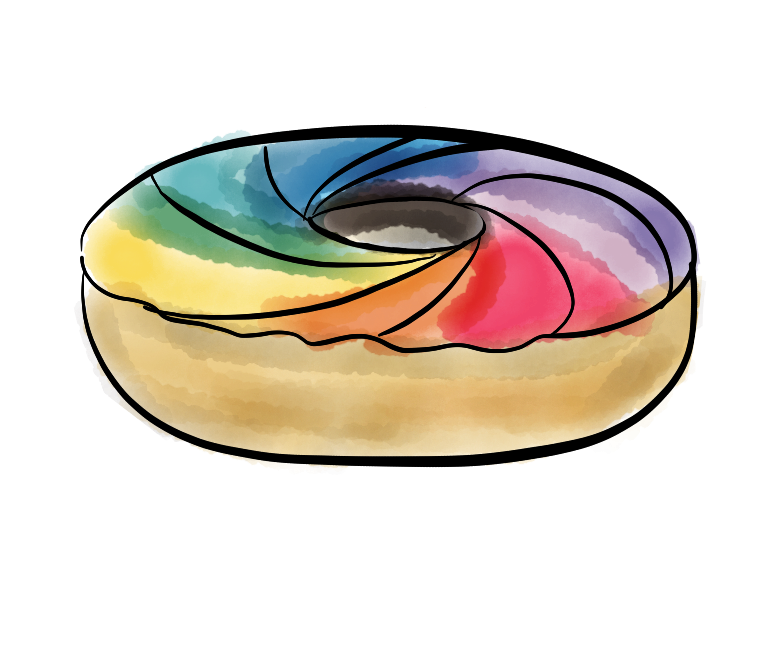 We provide free access to the Altmetric API for academic research purposes. If you’d like to request a key, please email us with a detailed description of your project and we’ll be happy to help.